It’s important for us to let you know that as our customer, we are here to support and guide you throughout every step of the design and construction process. Any question, any time. Our ultimate goal is to make this journey as seamless, stress free and enjoyable as possible; and most importantly – to get the outcome that you deserve. Meet with our Landscape Designer & Project Manager on site, to chat in person to discuss your space and lifestyle needs. As we walk through your space, we will explore your options with technical advice, guidance and a site analysis. Our technical landscape construction knowledge will help you achieve your desired design outcome, whilst ensuring the practicality and functionality of your new space. You’ll receive a detailed breakdown of how we deliver our boutique design and construct approach. This is an opportunity for you to ask us any those questions you’ve had building up over time. Let’s start designing your outdoor space. A tailored & collaborative walk through, creating a detailed stylish concept based on your lifestyle you’d love to feel and live within your new space. Incorporating our initial consult, we further explore all aspects of your exterior design and create a mood board including: materials, colour pallets, planting selection (including species and layout), site layout, styling/theme, lighting and any construction requirements or suggestions (e.g. swimming pool, outdoor kitchen, benchtops and outdoor showers). At this stage, we will also discuss construction budgets and timeframes. A full construction cost will be delivered with your design in the next phase. This truly is where the magic begins. 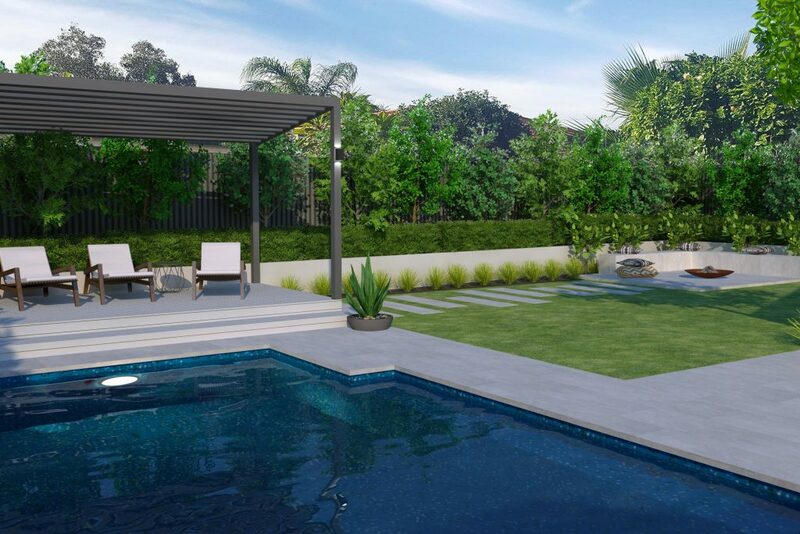 Full 3D Design Visualisation will help define and showcase your new space and outdoor lifestyle. Sit back and watch your very own 3D fly through video, immediately connecting you to your future space. 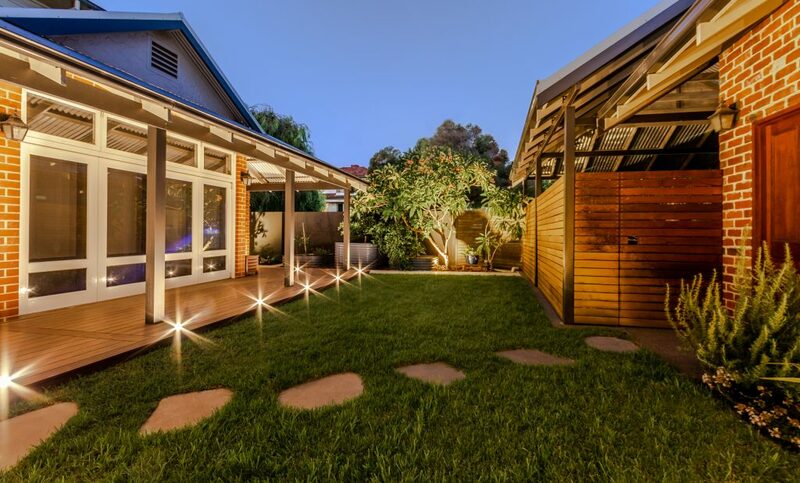 Detailed materials selection, planting schedule and mood lighting will showcase the full potential of your outdoors. Along with your design; we will deliver detailed costing for us to bring your stunning design to life. Your design review will include one round of unlimited changes and/or tweaks. We want to ensure you get the ultimate value and most rewarding outcome. Note: Sites Surveys, Engineering Drawings & Council Approval can all be taken care of by the design team here at Premier Constructed, which can be quoted on an individual basis. It’s now time to bring your outdoor space to life. While you sit back, meticulous planning and scheduling by the Premier Constructed project management team begins, taking your new space from design to reality. Our hand selected team of trusted contractors are managed, ensuring the delivery of superior workmanship, setting our landscape construction division apart from the rest. We value open, honest and clear customer communication throughout the construction process as you watch the beautiful transformation of your outdoor space unfold. *Landscape Construction cost delivered following design handover. It’s Time to Enjoy Your New Space! We’ll take the time to undertake a full handover, including a walk through and to answer any questions to ensure you get the most of your newly finished outdoor space. We take pride in delivering a project built to last – and we care about your new space. We stay true to our work and our word throughout the journey, making sure you’re at ease in your new outdoor sanctuary.